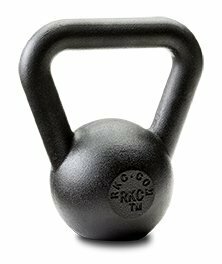 Dragon Door's 10 lbs/4kg RKC Kettlebell is an Excellent Choice for Young Adults or Women Who Want to Quickly Transform Their Physical Shape. Dragon Door and Pavel Tsatsouline have designed this RKC Kettlebell which is uniquely suited to women's exercise needs. While most women will begin with Dragon Door's specially designed 18lb kettlebell, our 10 lb kettlebell also gives you powerful results by more dramatically challenging your body to burn extra fat and build denser muscle. If you have any questions about this product by RKC, contact us by completing and submitting the form below. If you are looking for a specif part number, please include it with your message.